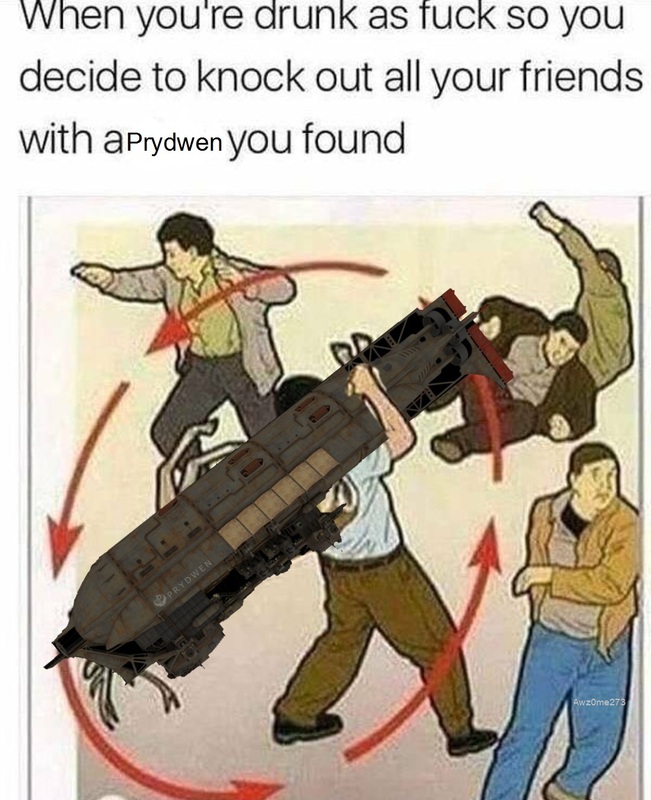 The entire Full-Sized Prydwen can now be used as a Melee Weapon... BECAUSE REASONS!!! Warning Mod Author not responsible for accidental Settlement wipes in a single swing! Do not go against Bethesda's ToS and port this to any other game (including Bethesda's other games). 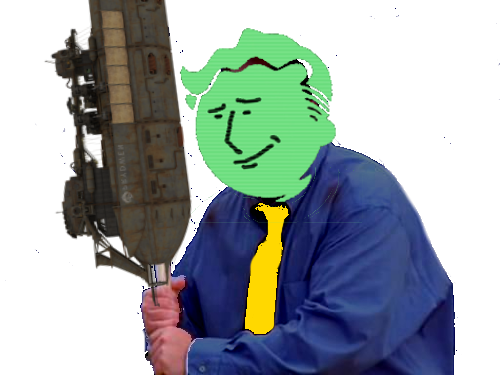 Other than that you are free to use this however you want to. You are free to earn Donation Points from this as well if you use it in your mod. 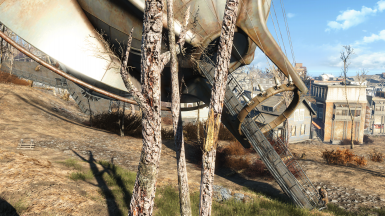 This Weapon was made by me for FO4 from FO4 assets using Outfit Studio, NifSkope, FO4Edit, and the CK for the ESL File. 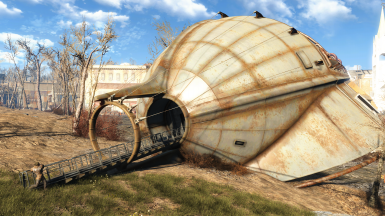 Who is ready to properly be fully immersed into the "wonderful" world of Fallout 4 with a single well thought out and made mod? Yeah... f*ck that!! I made this instead! It's A LOT more fun! PRYDWEN - MELEE WEAPON (OH YES I DID)! MUAHAHAHAHAHAHAHAHAHAHAHAHAHAHAHA!!!!! It took him 5 minutes to make this masterpiece with Paint.Net. Now we can all enjoy it! Imagine that says "heck" and now it's PG still (or a Minecraft Stream...)! Huge thanks to awz0me273 for making this masterpiece! 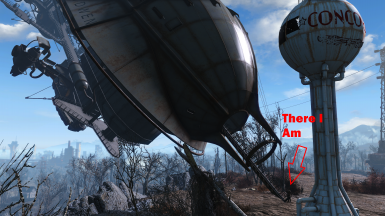 This is the entire full sized Prydwen that the Bortherhood of Steel and Elder Maxson uses for... whatever they use it for. Point is I got the meshes and pieced them together very carefully to avoid ugly seems or gaps between the meshes, and turned that massive heap of steel and screws into a functional melee weapon!! Why!? You may scream at the top of your lungs while grasping your hair in utter frustration even at the thought of this. Your answer is quite eloquent in it's simplicity, and Mr. Torgue said it best... BECAUSE REASONS!!! Prydwen - Melee Weapon: Costs 25000 Steel and 10000 Screws to craft. Weighs in at a scant 85,000 Lbs. 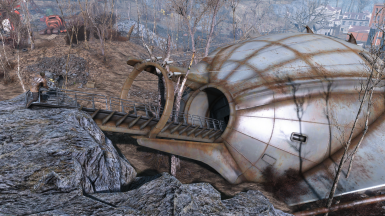 Valued at 15,000,000 Caps. Base Damage of 36,000 with the Reach of several Water Towers stacked on end. The ESP for this is called OhYesIDid.ESP, and the ESL shares the same name just .ESL at the end. 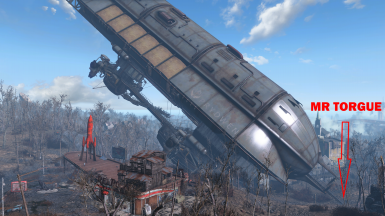 You can craft this beautiful, elegant, and majestic weapon at any Chem Station under the "Airship Weapons" category. Because of the weight of this weapon you will need to toggle god mode. tgm in the console command. Those are just the singles so enter "player.additem 731A4 100000" to get 100,000 Steel (no quotes). You might already have the components legitly or want to try to get them legit, which is fine. 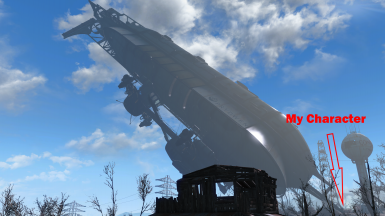 Just remember this mod is not really built around being legit. 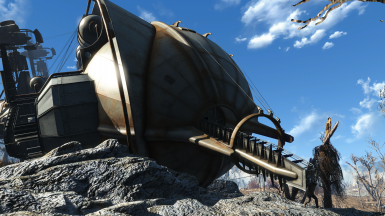 Due to this Weapons MASSIVE Size and Reach that it has... you can easily wipe out an entire Settlement in a single swipe (I did this testing it by "accident"). Just be careful not to mess up anything that you might not want to mess up... which includes relationships with your companions by accidentally hitting them with this. If you do not use NMM then just copy the mods Data folder into the Data Folder of your game and activate the ESP file. NMM Version 0.63.17 (or higher) can be used for both ESP and ESL Files. Please consider using ESL Files if you are running out of mod space in your game. This Weapon Contains 1000% Sanity by Volume.